You might be aware of websites, banks, retailers, and advertisers tracking your online activities using different Web "fingerprinting" techniques even in incognito/private mode, but now sites can track you anywhere online — even if you switch browsers. 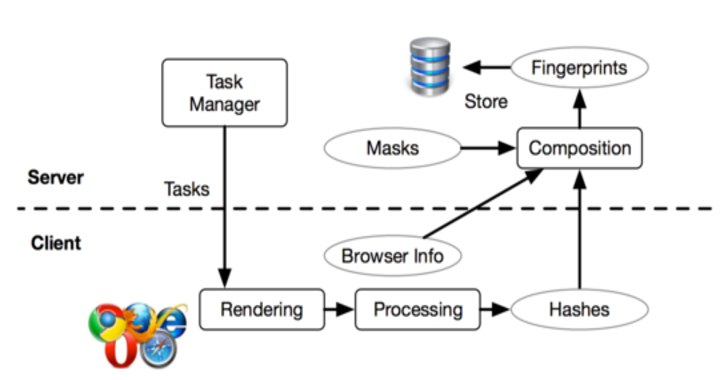 The cross-browser fingerprinting technique relies on "many novel OS and hardware features, especially computer graphics ones" that are slightly different for each computer. "This approach is lightweight, but we need to find all possible fingerprintable places, such as canvas and audio context: If one place is missing, the browser can still be somehow fingerprinted. We leave it as our future work to explore the correct virtualization layer," the paper notes.